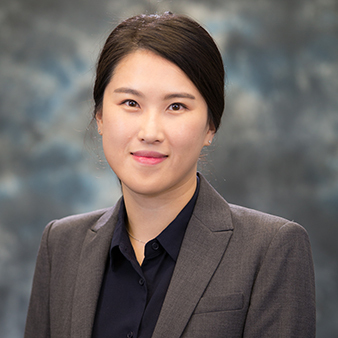 Jang’s research focuses on the design of supramolecular biomaterials based on soft matter assembly and recombinant technology. Her lab will apply fundamental understanding of self-assembly of recombinant proteins and biopolymers to create highly organized structures in solution and thin film phases with controlled physical properties, reversibility, and stimuli-responsiveness for diverse applications. Yeongseon Jang, Won Tae Choi, William T. Heller, Zunlong Ke, Elizabeth R. Wright, and Julie A. Champion, “Engineering Globular Protein Vesicles through Tunable Self-Assembly of Recombinant Fusion Proteins”,Small 2017, 13, 1700399. Yeongseon Jang, Woo-Sik Jang, Chen Gao, Tae Soup Shim, John C. Crocker, Daniel A. Hammer, and Daeyeon Lee “Tuning the Mechanical Properties of Recombinant Protein-Stabilized Gas Bubbles Using Triblock Copolymers”, ACS Macro Lett. 2016, 5, 371. Yeongseon Jang, Jooyeon Seo, Bulent Akgun, Sushil Satija, and Kookheon Char, “Molecular Weight Dependence on the Disintegration of Spin-Assisted Weak Polyelectrolyte Multilayer Films”, Macromolecules 2013, 46, 4580.
previous post: Tocco, Vincent J., Jr.
next post: Hages, Charles J.